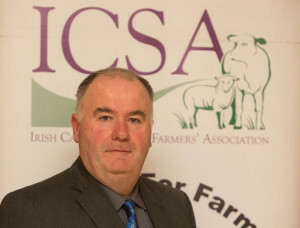 The Chairman of the ICSA rural development committee Seamus Sherlock has said the pre-budget submission by the Environmental Pillar to change the tax treatment of agricultural diesel could double the cost of the fuel. Mr. Sherlock said it was accepted globally that agricultural diesel should be heavily discounted because agricultural machinery uses large quantities of diesel to harvest silage and cereals, as well as cultivating the land. “This is the reality of food production. It represents a method of supplying food at the lowest cost in the most efficient manner. He said the proposal by the environmental block, which he attacked as “lunatic”, “essentially suggests that we should all go back to the scythe and pitchfork. Stating that the ICSA “is totally opposed to any changes which would make diesel as expensive as petrol,” he said “diesel is the fuel which transports all inputs and outputs in our agri-food export sector.